A Sydney Flower Tiara crown for the budding bride, this piece will adorn your head and set an ethereal tone whilst keeping a natural air. The rose and leaf design reaches from ear to ear and will compliment both the glamorous and bohemian bride. Flower crowns, flower tiaras and headbands are a staple of the boho style. As much as a real flower crown is fabulous it is risky as the flowers may wilt throughout the day. 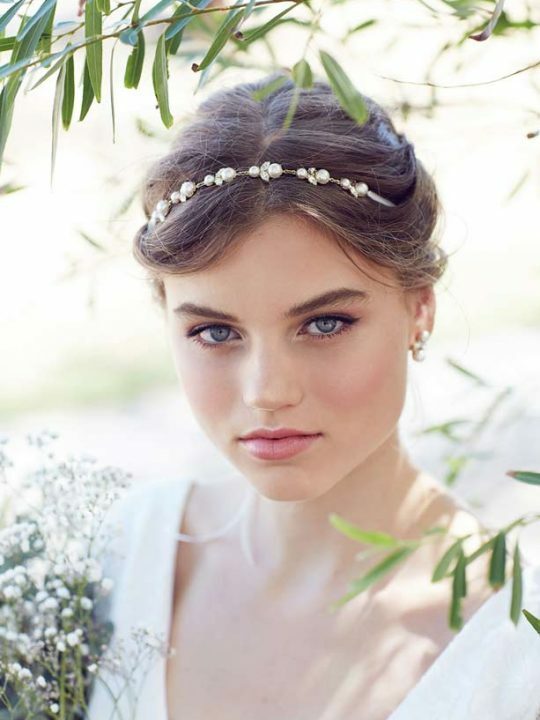 The Sydney Flower Tiara is the perfect solution to your carefree wedding day. Size: Flowers are 25mm from leaf to leaf. Flowers along 220mm of the band, headband is 330mm long in total. It will be packaged in our black satin Hello Lovers pouch. Consider matching this beautiful headpiece with the cute Sydney Wedding Earrings and the Sydney Wedding Necklace for a floral explosion on your wedding day. Australian hand made jewellery by Hello Lovers. Hello Lovers also makes a stunning range of lace wedding dresses in the vintage bridal gown style. 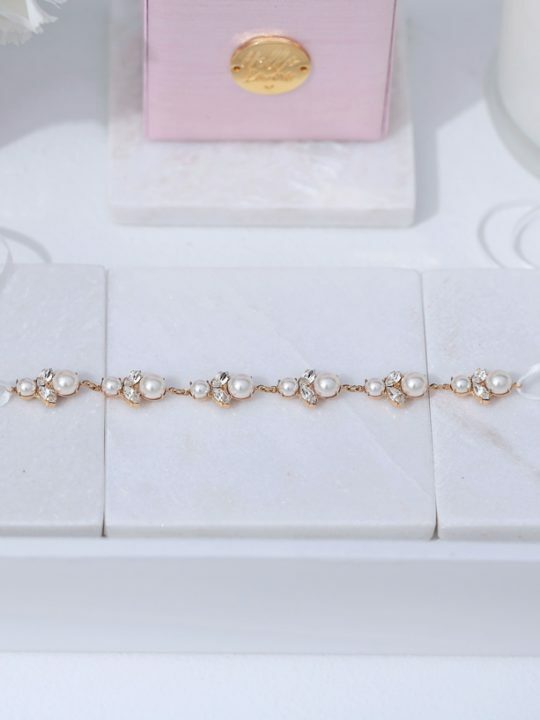 Featuring delicate bridal laces and clever design. Australian designer wedding dresses at affordable prices.